For me it is one of the best things about going away. Even after having a fabulous time with my best friend. I left Rye at 6:45 and had an uneventful drive back to Maine. More gorgeous weather but fewer leaves on the trees the farther north I traveled. 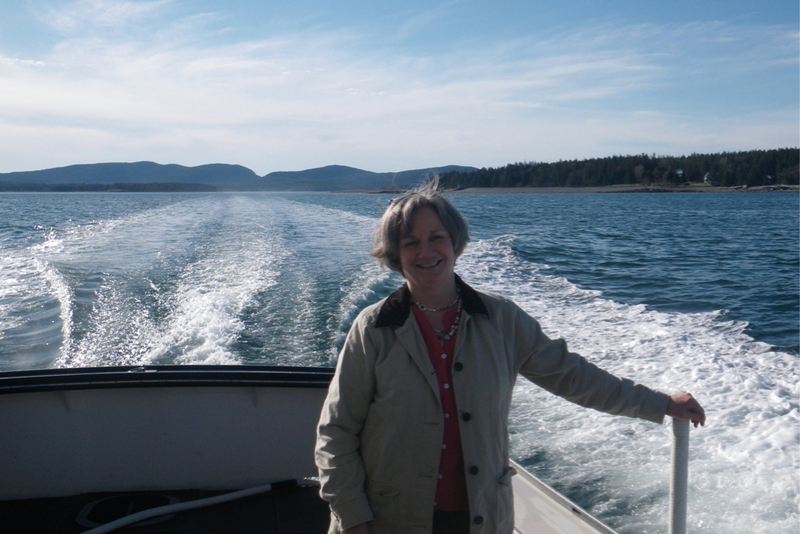 Bruce called me from his lobster boat around 1:30 to see if I would meet him in Bar Harbor. He had a doctor’s appointment at 3:30 and his crew would give him a ride over. 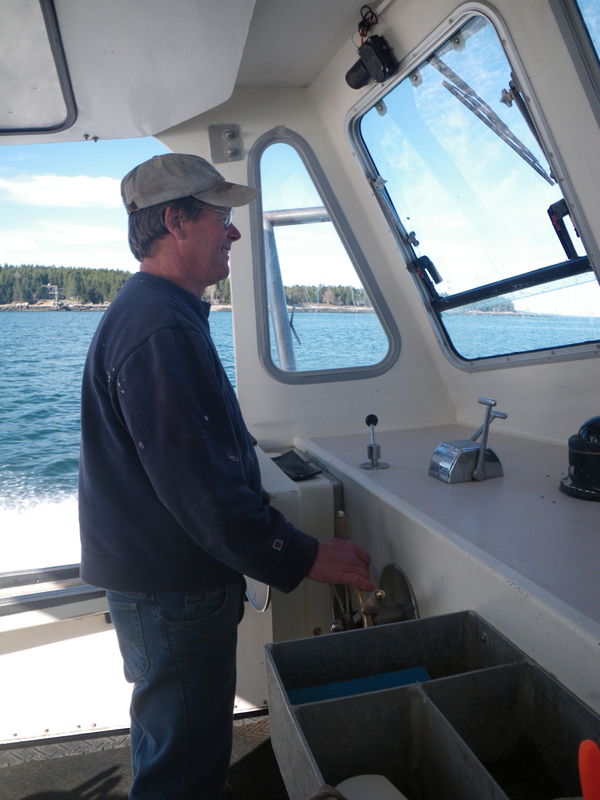 My timing was perfect to pick him up and then we headed back to Islesford aboard the Barbara Ann. Good thing the dress I bought for our son’s wedding in September is safely stored in this dress bag. There was no place to really hang it on the boat, so Bruce laid it on top of the nice flat bait stand. 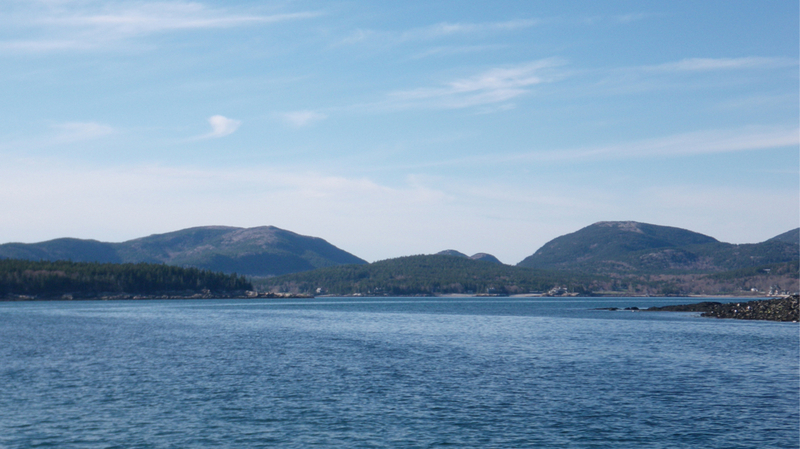 I never get tired of looking back at this view of the mountains of Mount Desert Island. 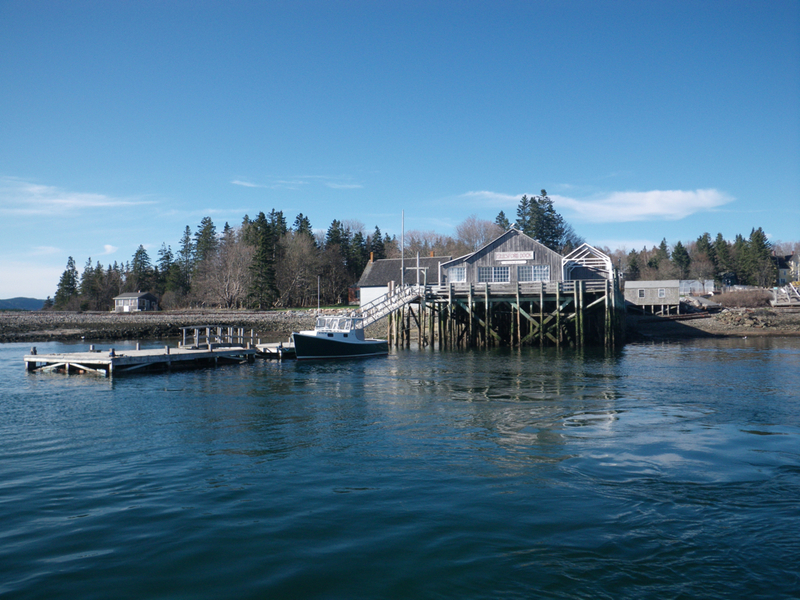 While I was gone, Courtney Chaplin put the float in at the Islesford Dock Restaurant. They won’t be open for business until later in June, but seeing the float and Dan’s boat back in the water is a good sign of spring! 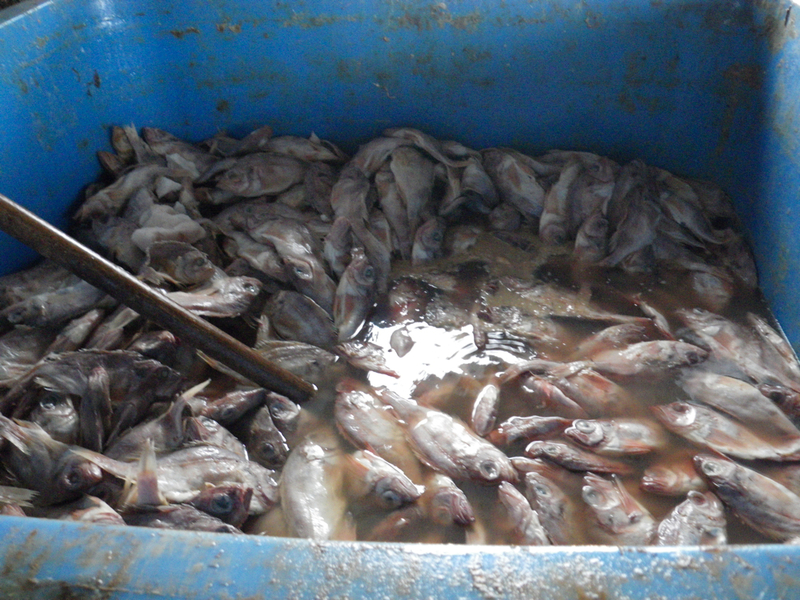 We unloaded all the stuff, from my trip, at the Town Dock. 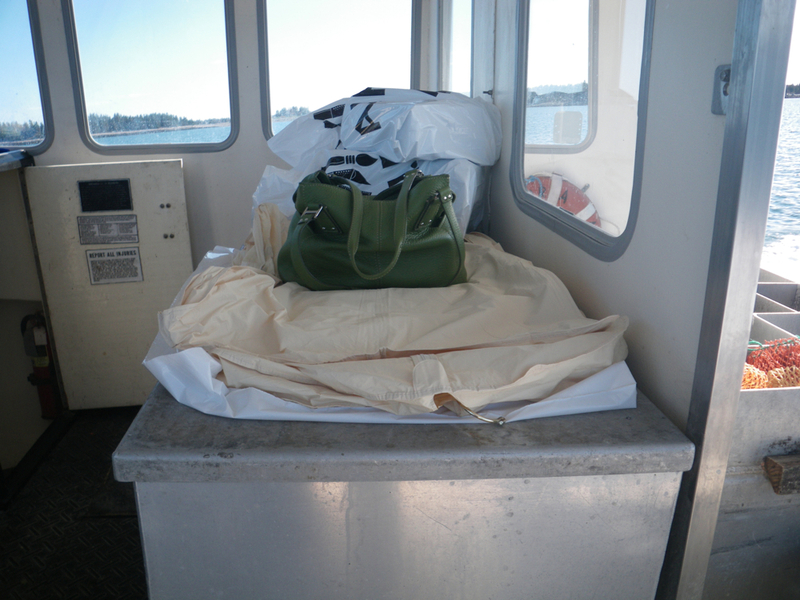 As I carried my suitcase, the cooler full of goodies from Arthur Avenue, my new dress, etc. up the ramp, Bruce put his boat on the mooring. We forgot to unload the present I brought him from a Saturday farmer’s market on Broadway. 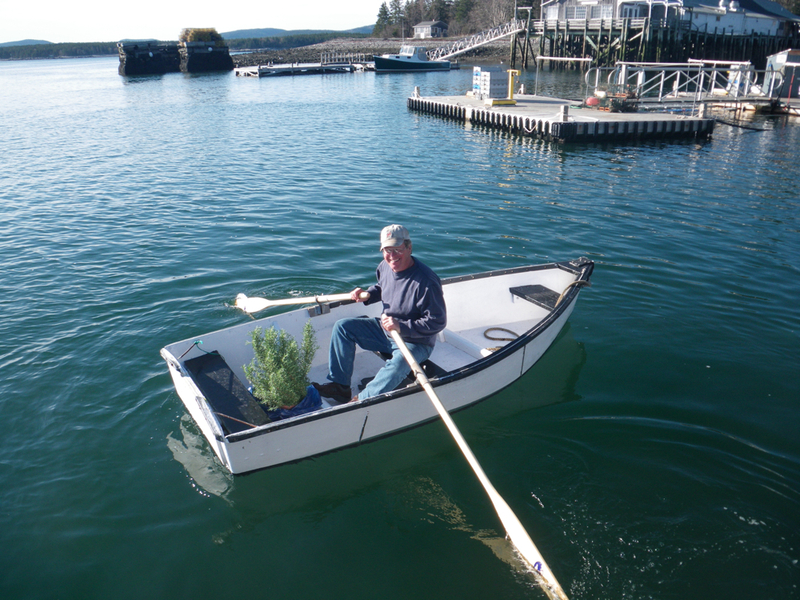 The rosemary plant got an extra ride in the skiff. What a beautiful story of your day! 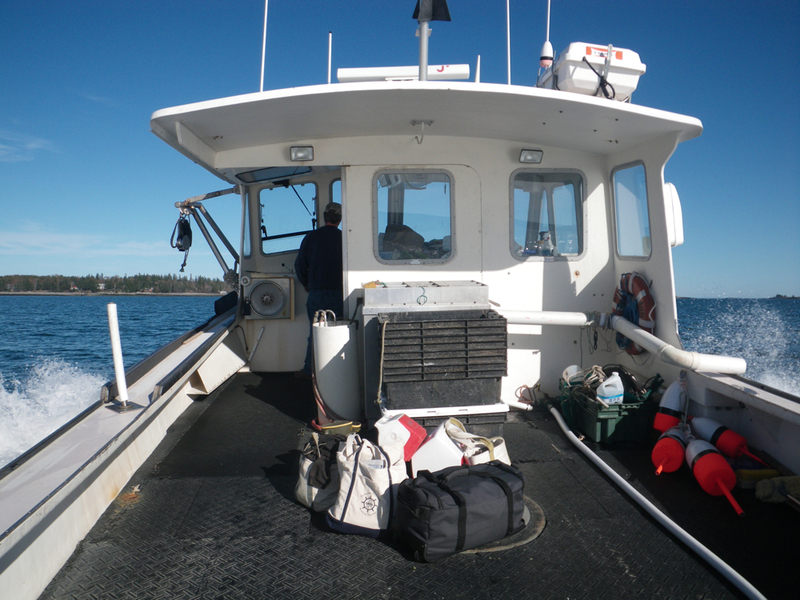 It’s nice coming home on the lobster boat on a calm sunny day!